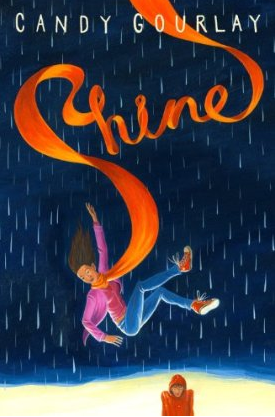 ... yup, I'm keeping my head down for a bit because I'm busy writing the final chapters of my forthcoming novel SHINE (I hope they've removed the synopsis on Amazon because boy oh boy, how the story has changed since it went up). For some reason, life isn't just standing by waiting for me to finish writing my book. I've just returned from one of those awfully big adventures where I met so many amazing people, did so many fascinating things, that I must post a quick (ish) report before more life takes over. Before anything else, may I thank Our Lady's Convent High School in Hackney, my gracious host on World Book Day. 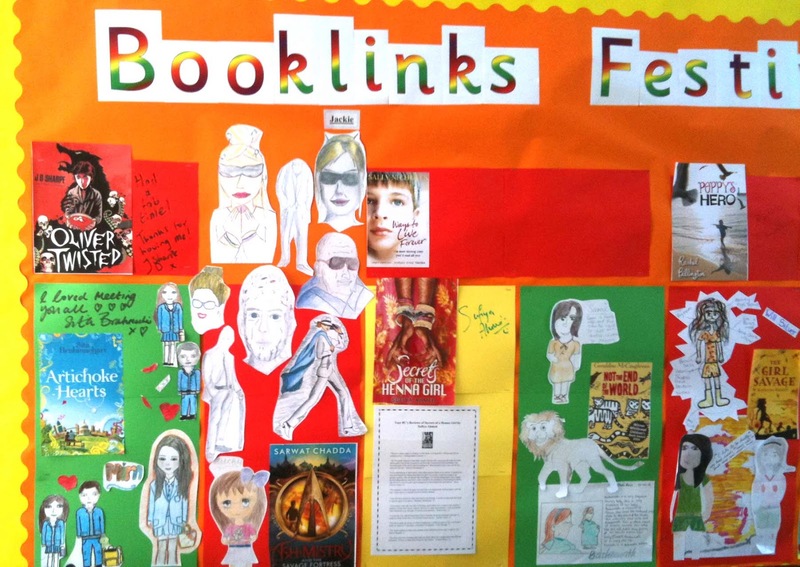 I visited Our Lady's as part of the Booklinks programme of the Pop-Up Festival Project . 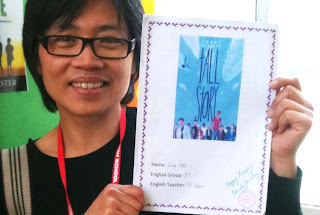 It is no ordinary school visit because the class actually commits to reading your book in advance. The following photos were kindly taken by Our Lady's Sarah Chapman, who also very kindly showed me some fantastic writing about Tall Story by some of the girls. 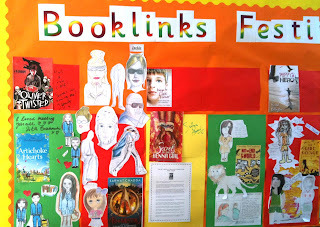 I was thrilled to see the Booklinks display at Our Lady's. For some reason all the books featured seemed to be by writing pals - from left - Oliver Twisted by JD Sharpe (aka Jasmine Richards), Artichoke Hearts by Sita Brahmachari, Ash Mistry and the Savage Fortress by Sarwat Chadda, Ways To Live Forever by Sally Nicholls, Secrets of the Henna Girl by Sufiya Ahmed, Not the End of the World by Geraldine McCaughrean, The Girl Savage by Katherine Rundell who really is far too young to be an author. One of the thrills of visiting schools is meeting inspirational teachers like Ms Denise Detain who created this workbook about Tall Story - OMG, it's amazing ... I'm currently trying to bribe Ms Detain to allow me post it on my website! 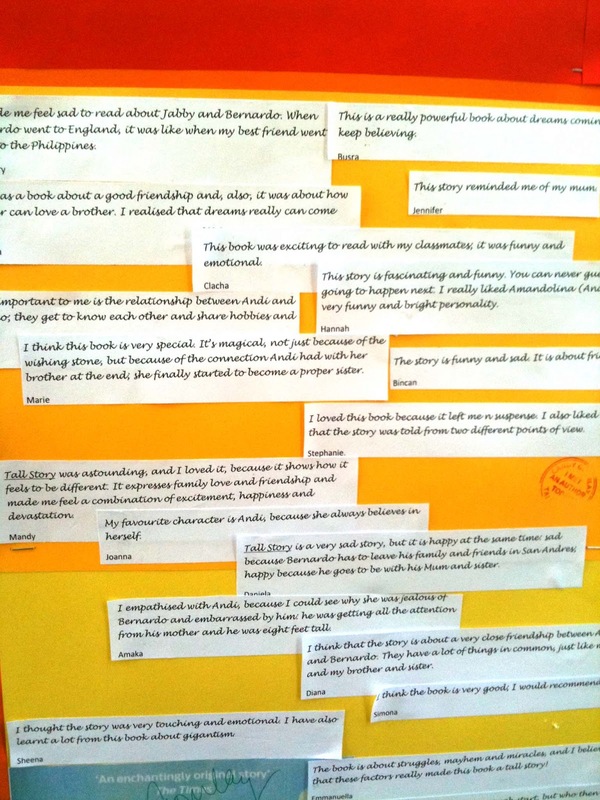 Here's the bit of the board devoted to Tall Story which featured comments by the girls. The girls of Our Lady's were smart and lively - which was helpful because I was fresh off a 20 hour plane ride from the Philippines where I'd been visiting my Mum. ... and meeting new twins in the family. Jessica and Paul. They don't know it yet but I'm going to be their favourite aunt. Now there's nothing an author likes to be than USEFUL, and one of the things I thought would be most useful would be to do some evangelizing about Reading. I know I'm just a beginner writer, but I also know that many parts of the Philippines don't get the chance to meet authors, so I scrounged around Facebook in search of people who could help me visit such places. 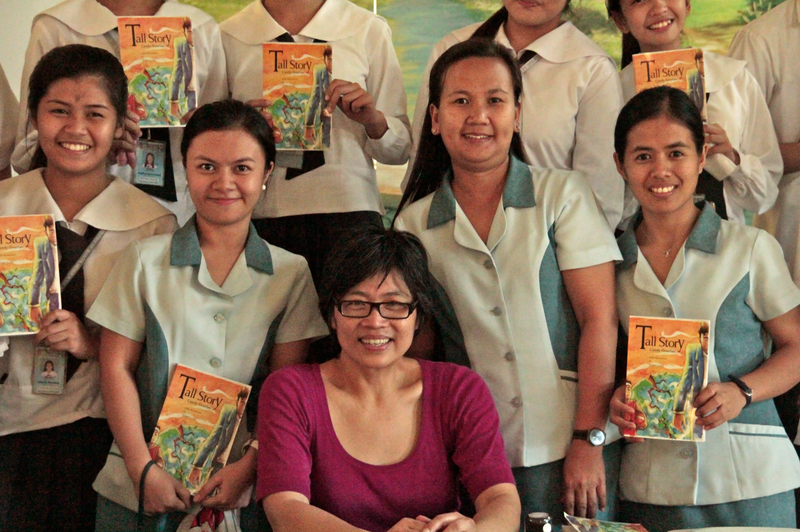 I'd recently became involved in the good work of a library-building charity called the Sambat Trust and lucky me, they offered to take me to Tanauan, Batangas (two hours south of Manila), to visit schools and meet teachers (Why teachers? 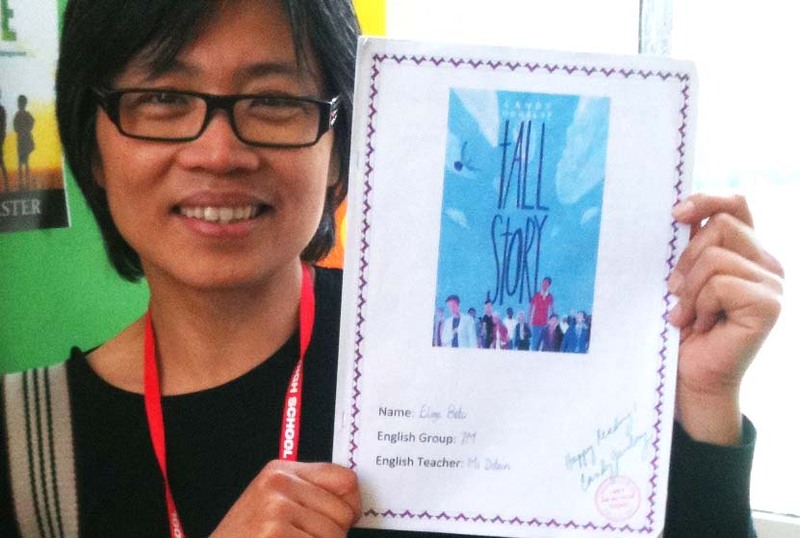 I thought I could maybe, probably, inspire one child in a hundred to read ... but if I could use my author powers to inspire one teacher or librarian .... why that teacher would be able to carry the message faster and farther than I ever could!). 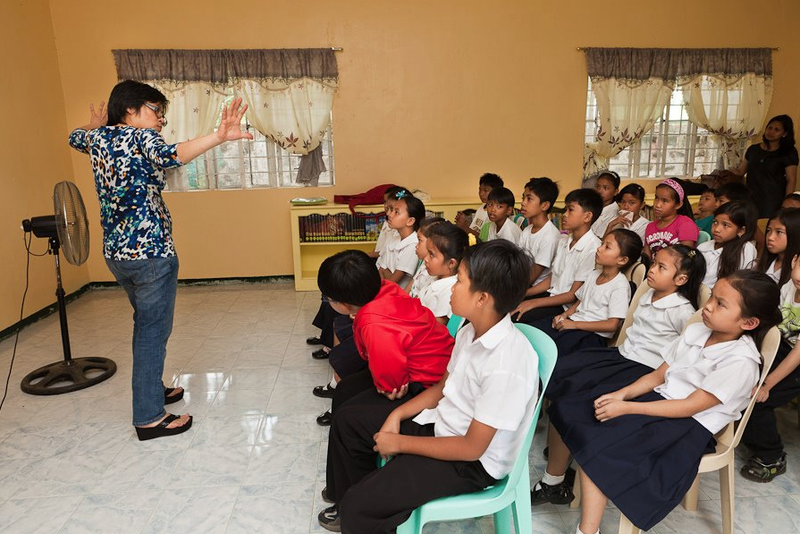 During a school visit in the Philippines in 2010, I met a teacher named Eric Perez and noticed how students kept high-fiving him and greeting him with 'Cher! Cher!' (Teacher! Teacher!) ... authors, here's one good bit of unsolicited advice: keep a look out for inspirational teachers like Eric - these are the folk who can move mountains. I got in touch with Eric via Facebook and lo and behold, he organized a visit to two schools in Angat, Bulacan north of Manila and a session with the town's teachers! 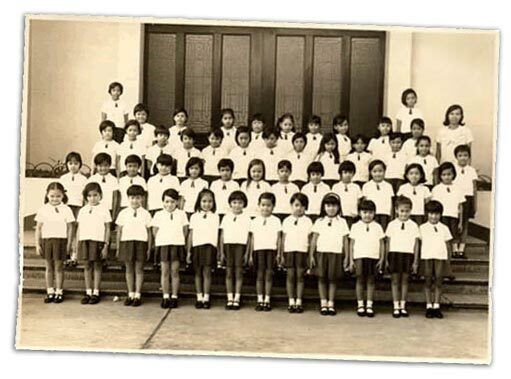 I'm the second girl from the left on the top row. They said they were amazed at the shortness of our skirts! In my time, the prescribed skirt length was one and a half inches above the middle of the knee. Now, it's clearly below. Hmm. 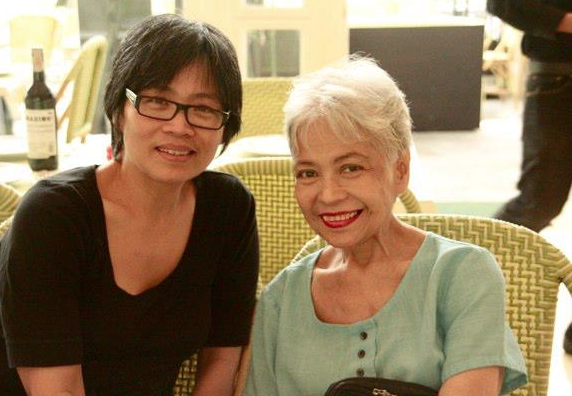 At right is Ms Honorina Castro, who claims she was already teaching in STC when I was in fourth year high school. All I can think is she must have spent a good chunk of the intervening years criogenically frozen somewhere because she looks far too young to have been around that long! 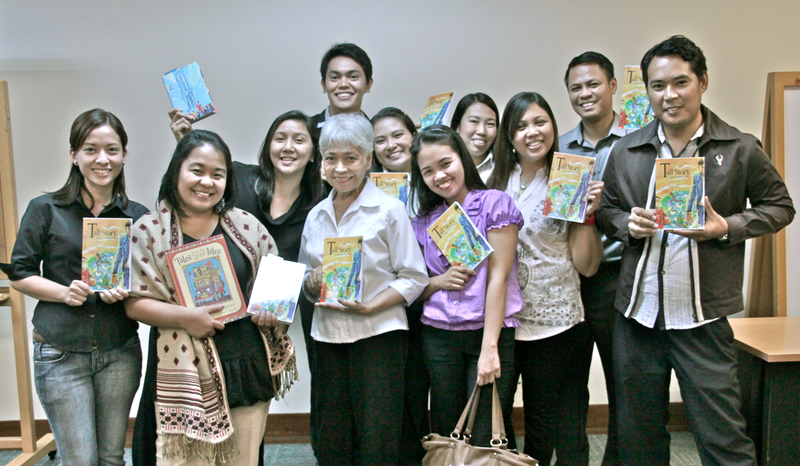 A big thank you to Gwenn Galvez of Anvil for organising book sales and taking this historic photo. I also fitted in a visit to my blogging pal Tarie Sabido's writing class at the Obelisk International Learning Hub. I began stalking Tarie (in blue) - who blogs on children's books with Asian themes or authors - long before I got a book deal. 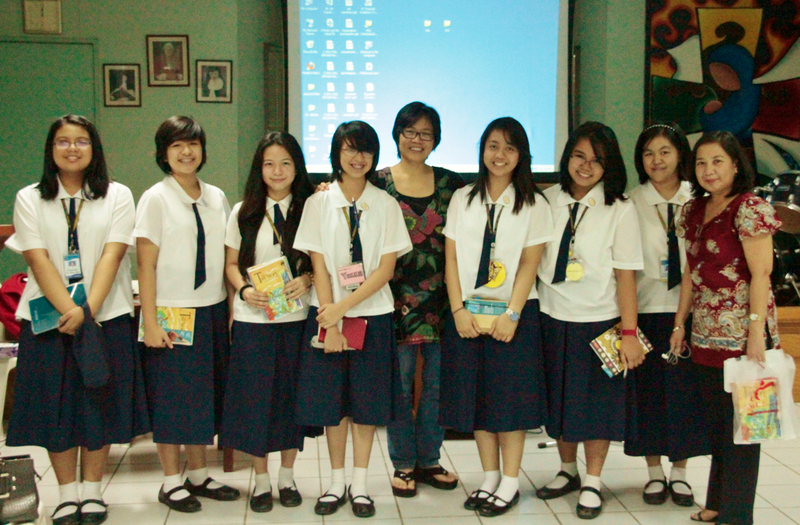 I LOVED meeting these kids - they asked me fantastic questions - questions that only a struggling writer would ask. At far right is another inspirational teacher, Fe Ragasa, brainiac behind the Obelisk group. And here are the guys from Scholastic - in the Philippines, Scholastic runs book fairs, taking children's books from all publishers directly to schools all over the islands. 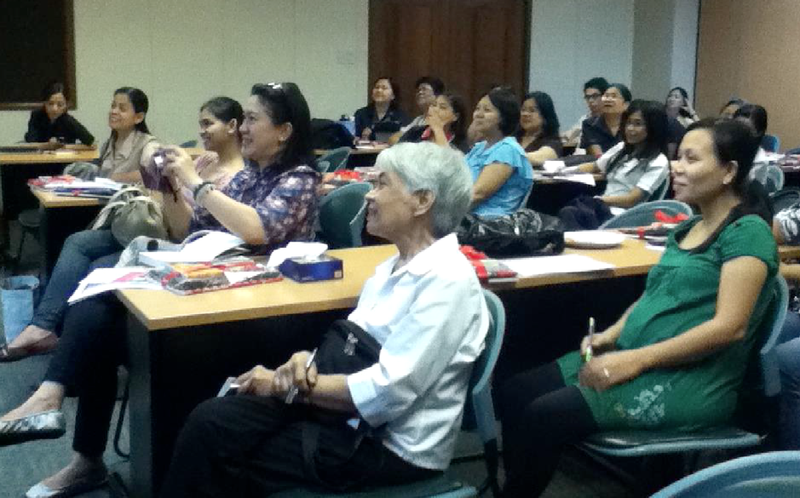 The other speaker at the Scholastic event was the librarian and storyteller Zarah Gagatiga, second from left, who also works with the Sambat Trust. Also in picture is Scholastic supremo and super Tall Story supporter Ellinor Ferriols, third from left - she has the claim to fame of persuading Suzanne 'Hunger Games' Collins to be photographed with a Philippine flag. 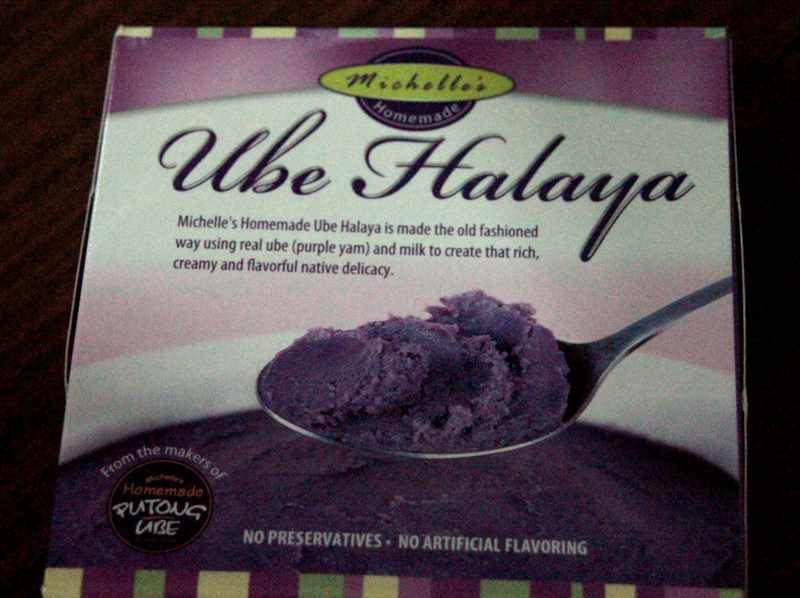 Just can't resist ube ice cream! 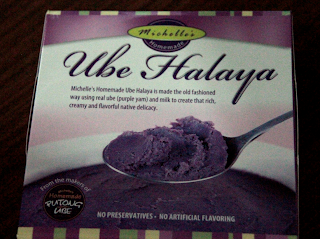 Now I don't know how but it was clear that people had got wind of the fact that I adored ube ice cream. 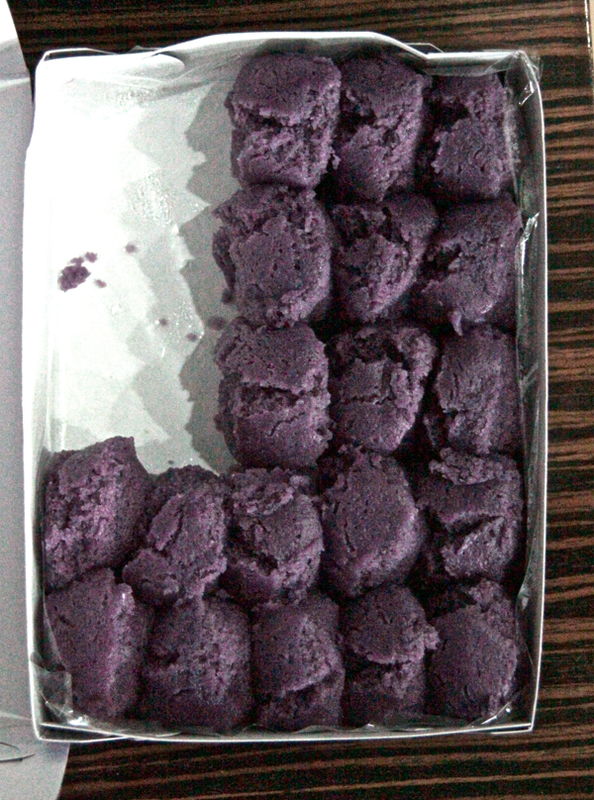 Ube, for those who have no idea, is purple yam - and purple yam ice cream is truly yummy! I hear that when Neil Gaiman came to the Philippines, he let slip that he liked calamansi - the Philippine answer to lime. 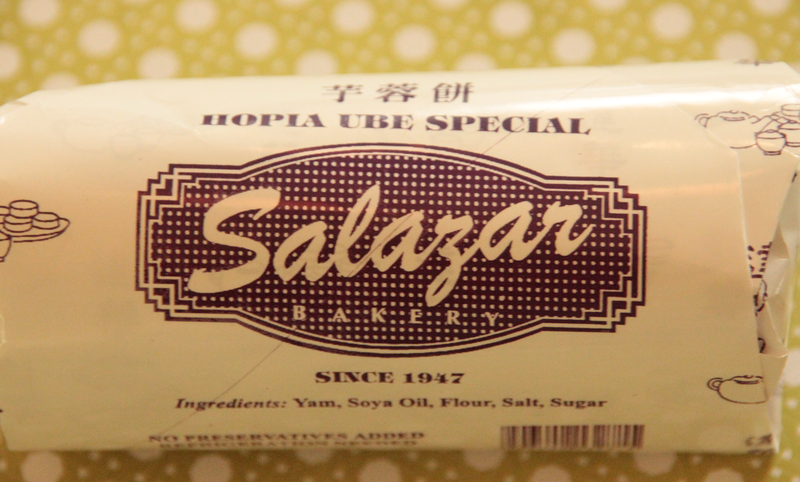 Folk history has it that he found himself the recipient of crates of calamansi products! 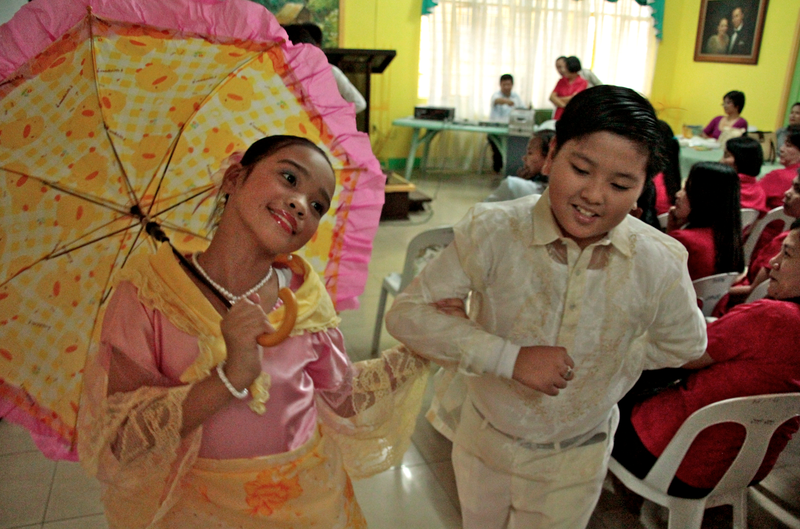 Such is Filipino hospitality! 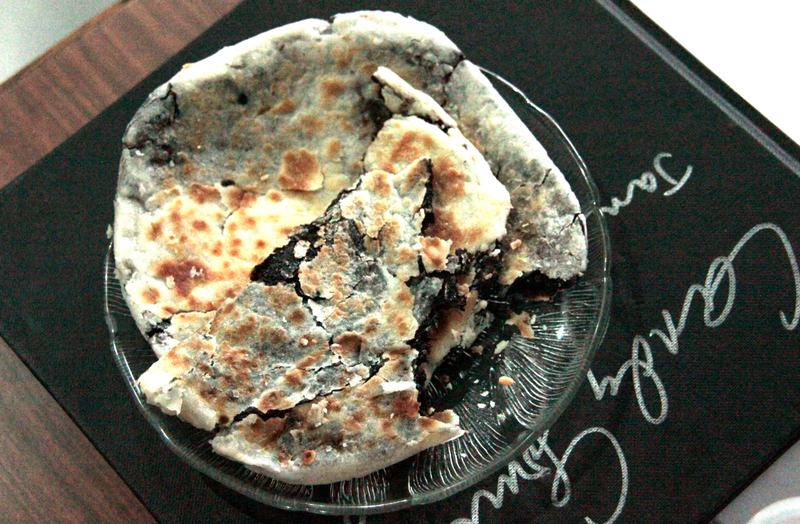 Thanks for all the ube and thanks to all who hosted and fed and toured and inspired me! What an amazing time I had! As you can tell from these snippets, I have many, many, many, many stories to blog about from this amazing trip. But please bear with me for now. I've got a book to finish! 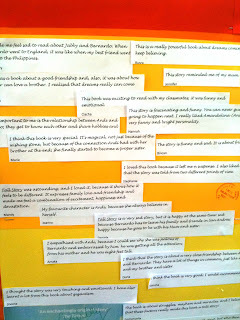 Oh Candy, what an inspiration you are and a truly wonderful post that allows us to share your trip to the Philippines. Highlighting what a difference an author can make. Can't wait for the new book too. Thanks, Ness! It was a privilege to be able to do this. 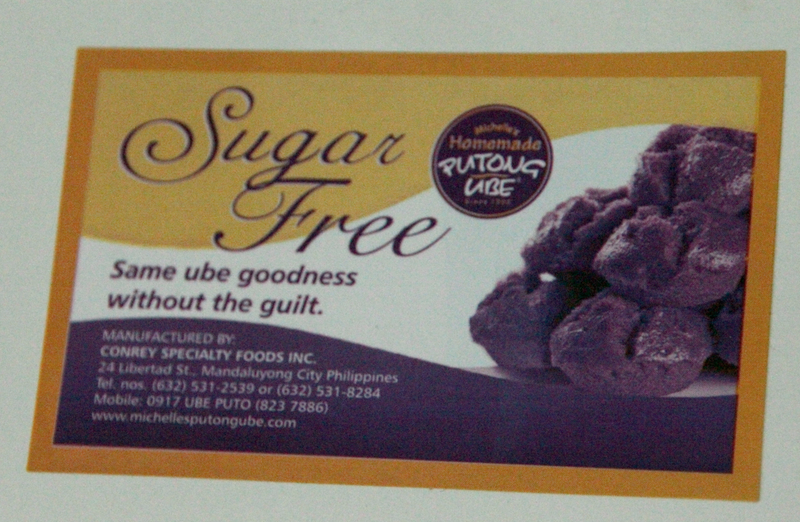 What an amazing trip, though I remain unconvinced by the ube! And your Mum is so cool and looks so proud of you! Lovely! 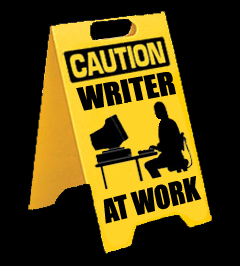 Now get on with your writing. Can't wait to read it! What a trip! Sounds amazing, Candy. Glad you got to spend time with the librarians and teachers, too. And really good luck with the charity. It's a really exciting one. Clare. 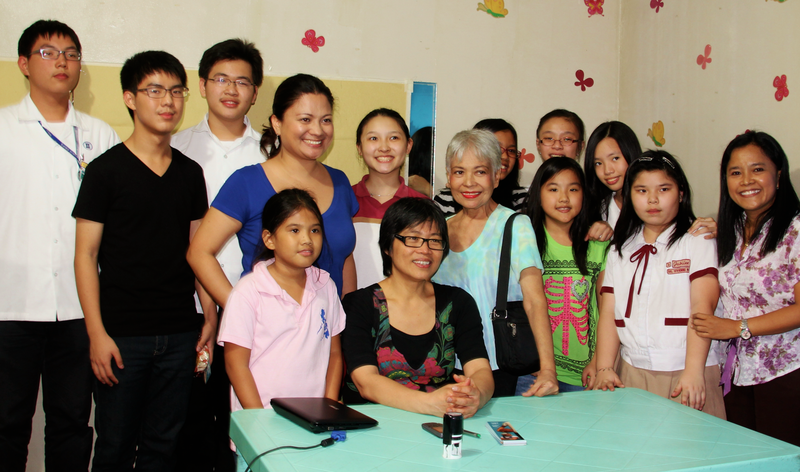 thank you - the sambat trust is doing really amazing work! Just fantastic, Candy. What a way to "pay it back" to your home community. Looks like you had a great time, too--it's all good! Oh, what a gorgeous report. 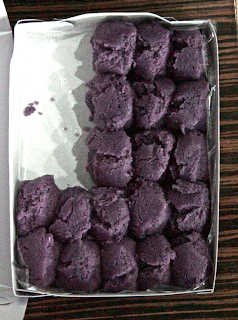 Your purple yam offerings reminded me of the Anne of Green Gables book (maybe Anne of Windy Willows?) when they all started making her things with pumpkin. ashamed to say i haven't read anne of green gables ... but i'm determined to correct that! 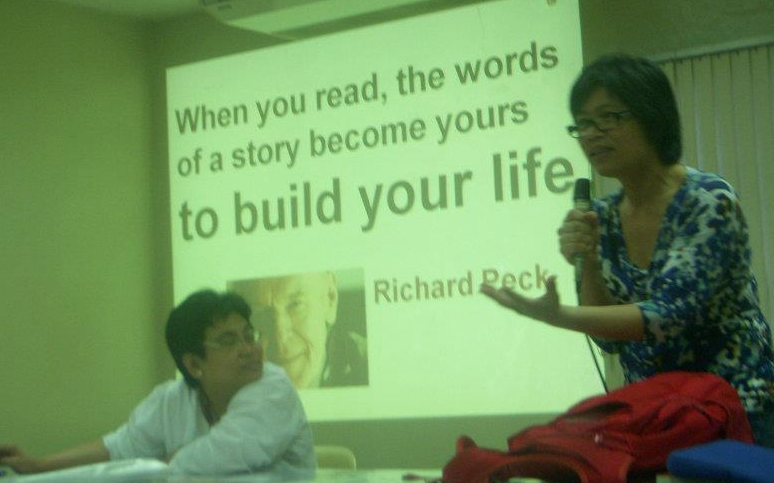 I love that Richard Peck quote about the words of a story becoming yours to build your life. It's clear that you have inspired a lot of lives over there, not to mention a bunch of us here - anyway get back to that story now Candy! Wow! 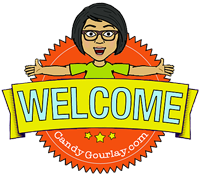 Thanks so much for sharing this whirlwind tour of yours, Candy. It sounds absolutely inspirational (for you, the teachers, and the students!) and it was a joy to (vicariously!) experience it along with you. 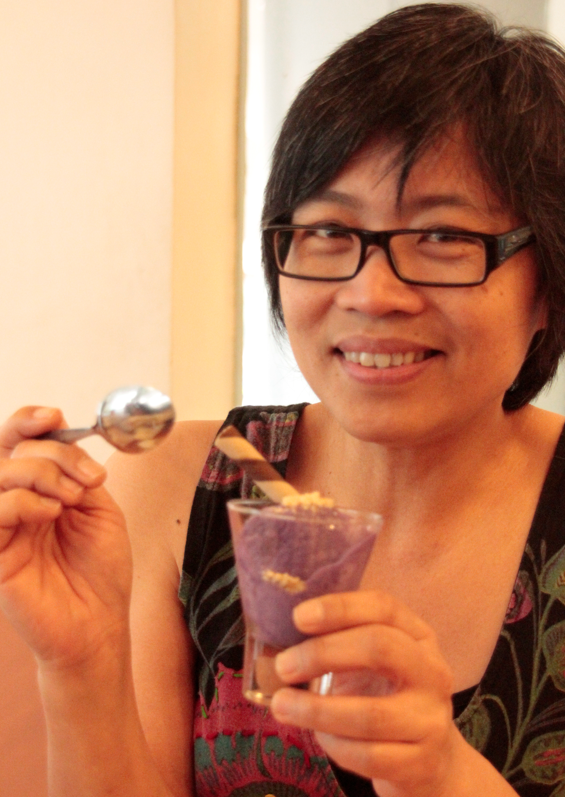 Also brought back a lot of my memories of my time in Dumaguete, including ube ice cream and calamansi juice! 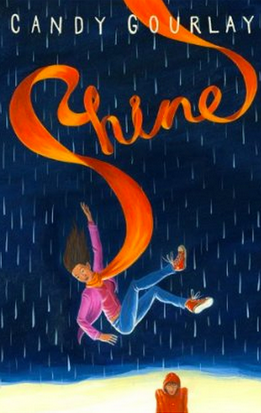 Good luck pulling together Shine--I'm really looking forward to reading it! Thanks, Anne! 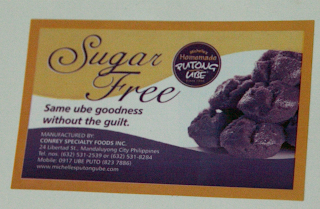 I forgot that you've been to Dumaguete! you actually PRE-ORDERED? Oh no! ... seriously though, it's going well. I'm actually on the homestretch! But will SHINE still be the title? Hello Candy, this is such a wonderful report - you seem like someone who makes teachers and children feel great about what they do. Both my parents were teachers, so I know how rare that can be and how lovely it is when it happens. 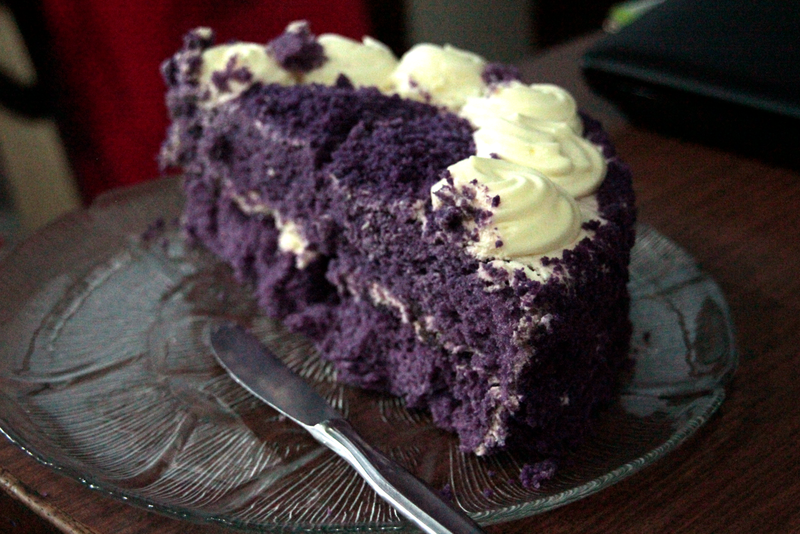 And that crazy ube cake...! The other day, I saw a woman in a top the colour of purple yam and my tummy rumbled!